When people talk about Beverly Hills, California, they immediately have an image of the best of the best in everything. Quality matters in Beverly Hills, and that includes the ice businesses use to serve their clients. 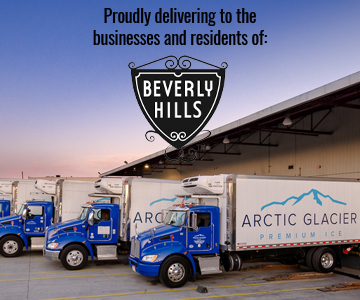 Arctic Glacier is a company that offers ice that meets the strict standards of the Beverly Hills community, and our excellent customer service makes us the ice delivery service of choice for all businesses, events and residences in Beverly Hills. 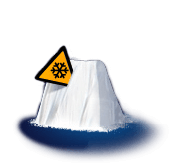 Arctic Glacier meets the highest of standards every day with quality ice products. 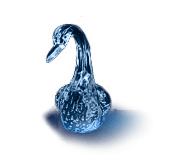 Everything from the water we use to our special filtration method is designed to produce the highest quality ice. We waste no time in getting finished ice into our precisely controlled refrigeration trucks, and we make sure the temperatures in those trucks keep the ice just as it was when it left our facility. We thrive on exceeding the expectations of the customers we serve in Beverly Hills and it is a challenge we enjoy meeting every day. 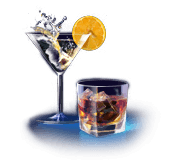 While we know the importance of our products to the hospitality industry, we are also experts in how our high quality standard ice, crushed ice and classic square cube ice is used in a variety of other situations. We appreciate the importance of ice to all of the businesses and homes in Beverly Hills and we work closely with our customers to make sure that all of their requirements are met on a daily basis. Every facet of an ice business requires attention to detail, and that includes the delivery service. Our refrigerated trucks are set to the precise temperature that will avoid making your ice melt together. Our goal is to get your ice to your business in the same condition it left our facility, and we have become experts in doing just that. When you talk to one of our experts, we can arrange a delivery schedule that will make sure that you always have ice for your daily operations. If you let us know in advance that you expect a surge in business, then we will estimate how much you will need to meet those demands and keep you stocked. If you ever have an emergency situation where you unexpectedly run out of ice, then just give us a call and we will be there as fast as we can. Beverly Hills is the kind of place where special events happen all of the time. The next time you are planning a special event, give us a call and let us handle your ice needs. We can make sure you have plenty of crushed ice, and we can also supply you with breathtaking ice sculptures to make your event memorable. Contact us today and we will meet all of your ice needs with the highest level of customer service in the industry.